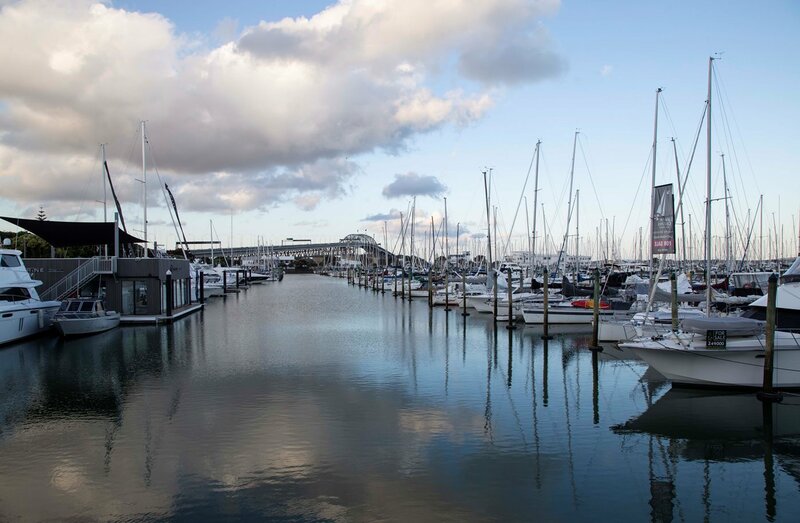 Auckland markets itself as ‘The City of Sails’ and with around one registered craft for every 11 residents (1), it’s easy to see why. The city occupies an isthmus between two harbours, and it’s difficult to find a vantage point of Auckland that doesn’t include at least a glimpse of the sea. 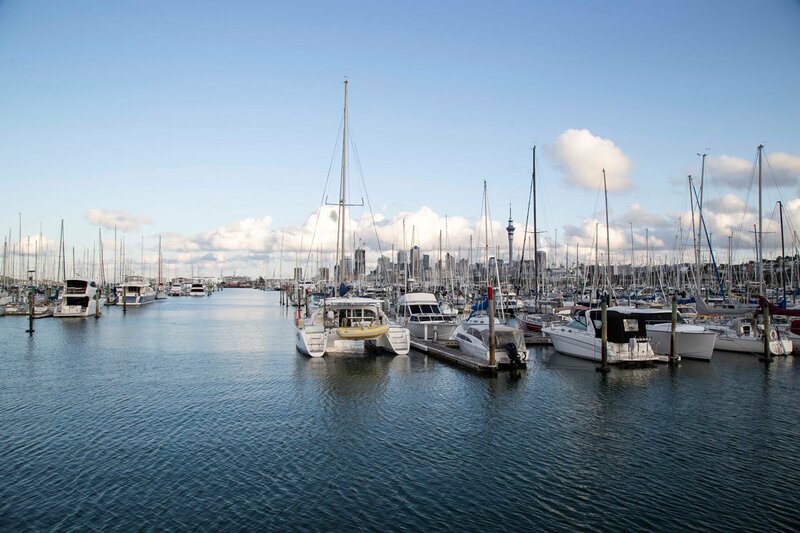 Westhaven Marina, adjacent to the CBD, has berths for around 2000 boats, making it one of the largest in the world. It’s also a great place from which to see the city skyline. These are 2014 figures, but my personal guess is that the ratio won’t have changed much in the intervening years, and if anything there may now be more boats in the city’s harbours as Auckland has become a “destination” for superyachts. 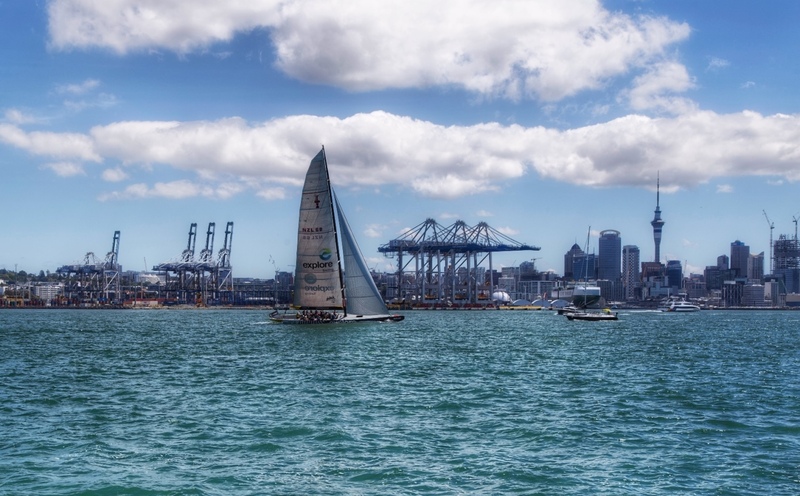 Auckland is currently home to the America’s Cup, after a 7-1 victory in 2017 in the Bahamas. The next challenge will take place here in 2021. I love going down to our marina to take pictures. There is just something about boats. Your marina is huge!! Apparently it’s the largest in the southern hemisphere. There are a dozen or so other marinas in Auckland too. Lovely harbour images showing great depth and giving a 3D feel. Well done, Su! Easy to see you are a seafaring country, Su. 🙂 personally I’m not much of a sailor, but I love being by the sea. I’m not much of a sailor either Su, but some of members of our family are. It’s something that seems to have passed our family by, though we have friends who sail both for enjoyment and competitively. What a thought—water wherever you look. Divine! “out practicing or something” — love this caption! Wonderful choice. A great city! Your portrait of Auckland is fabulous. I love the reflections in these harbor shots. Beautiful. Great photos, it takes me back. Auckland will always be my second home. Glad you like them. 😀 when were you last here? Last in NZ a couple of years ago, last in downtown Auckland, over ten years! I used to live on Elliot Street, off Queen and Wellesley St. It was perhaps the best year and a half of my life. Until I had my kids that is! Downtown Auckland seems to change on a daily basis. The old Downtown mall was demolished and there’s a huge new building going up on the site. There’s also an underground rail link wing built from Britomart, up to Karangahape Rd then to Mt Eden to join the existing trail tracks. Road closures and chaos everywhere. Eliot Street would be right in the middle of that. Cripes. I remember the K road. There used to be a place open late at night near the top of Queen St. Called the hole in the wall. THey did a tofu chilli dog. Wow, I still miss that taste! Gorgeous shots, Su! And Auckland is a favorite city! What stunning photos! Thanks for sharing! Well done to win the Americas cup! Certainly living up to its name. Hehe!! I haven’t really been following it after the winged keel business years back. Remember that?